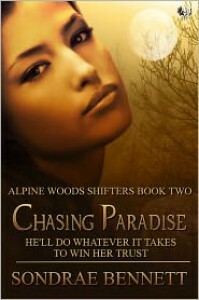 Ethan is tired of the female shifters in his home town, chasing his tail. so he goes on vacation. He goes to a hotel in California looking for no strings fun. Instead he finds his mate. They spend the night together, but his fear of no longer being free has him confused. He leaves her and pretty much rejects her. She then leaves him. He then pretty much spend an entire novel trying to make it up to her.